The SONGMICS wooden hangers are finely crafted from solid wood with smooth finish, secure joins and 360 degree swivel hook. 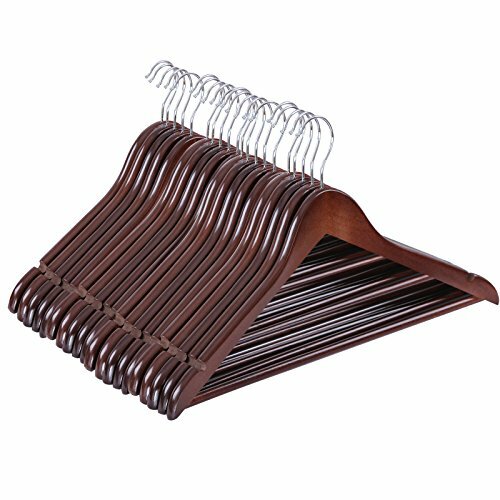 It will be a better choice to use these wood hangers than wire hangers or plastic hangers. Our wooden coat hangers with 2 U-shape notches helps to avoid clothes slipping. They are great for hanging coats, jackets, sweaters, shirts, blouses and dresses in a manner that prevents wrinkles, with a lower bar for the hanging of trousers and skirts.